After the work is completed, we no longer need to run Dexos-2, should be able to run normal Diesel oil, like Mobil Delvac correct? Theoretically but I personally stuck with Penzoil Euro-L 5W-30 dexos2 because its like 22 bucks at walmart in 5 quart jugs. Hard to beat for a really proven quality oil. Since the car is deleted, it should be even easier on the oil. There's UOA's posted on here of members going 15,000mi on a single OCI with a full synthetic dexos2 oil with life left. Trying to finish up the install on my daughter's 2014 Diesel Cruze. I think they sent me the wrong kit? Thanks, I'll try to get them to swap for the correct kit. I might be able to make the two block-off plates, but can't figure out the function for having 3 NPT pipe plugs in the top plate?? If I make one, why do I need those? Can't I just make a flat plate with the two mounting holes? Those 3 NPT plugs had me confused also. They don’t seem to serve any purpose for the CTD application. I would think a fabbed-up flat plate would serve the purpose just fine. 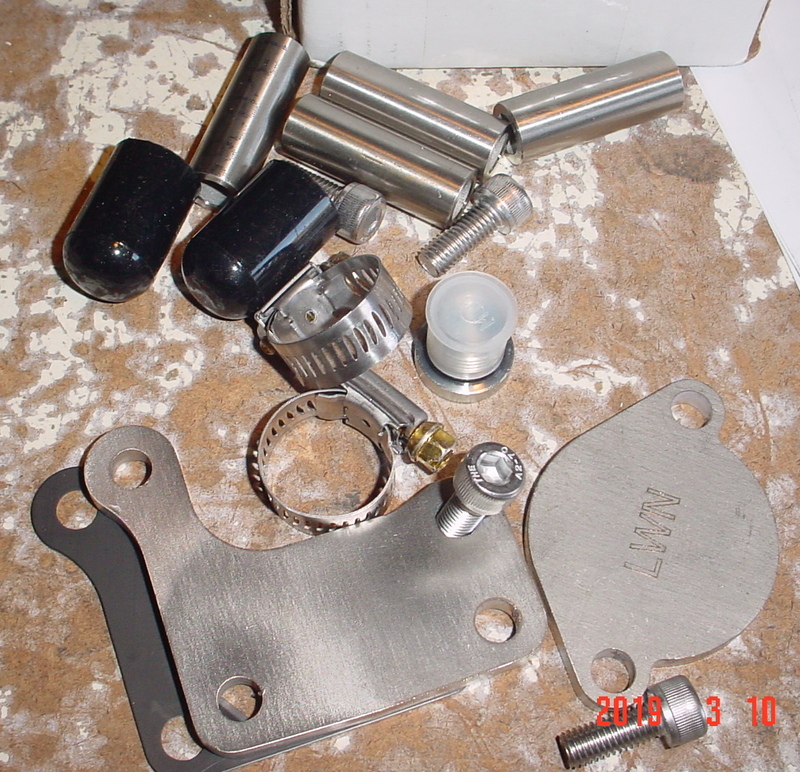 Or you can also opt to just leave the EGR intact and just unplug as instructed. The tuning turns of the EGR. 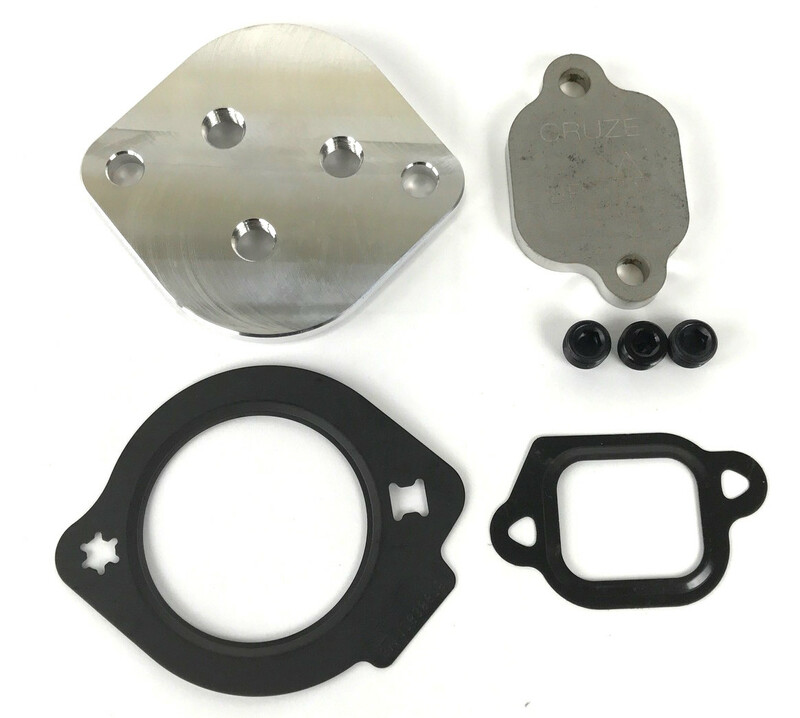 Does the EGR kit remove the actual EGR valve? I thought it just removed the EGR tube and sensor. Are you guys plugging the vacuum lines after they are removed or just leaving them open? Left open, secured with zip ties.